A Wedding Magazine Didn’t Mention the Officiant – What Can I Do? What happens when a wedding magazine excludes the officiant from their list of wedding professionals? One of the most frustrating aspects of being a professional officiant is the way our work, and our contribution to the success of our clients’ wedding day, is often overlooked or disregarded by other wedding professionals and by wedding magazines and blogs. Some time ago I wrote this article about whether officiants are wedding vendors and, while it’s been shared countless times and sparked many interesting discussions online and on social media, it’s hard to say whether things have changed very much when it comes to wedding magazines in particular. While some national magazines such as The Knot’s Local Wedding Magazines generally do an excellent job of consistently including the name of the officiant in their “Real Weddings” section, other magazines and blogs are either inconsistent or intentionally exclude the officiant from the list of wedding professionals. One such magazine is in my local market and they intentionally omit any mention of the officiant as a matter of company policy. While investigating this through emails with the magazine staff and conversations with other local wedding professionals, the best explanation I was given was that choosing an officiant was a “personal decision” for the couple and has nothing to do with the wedding or the other vendors. It’s been incredibly frustrating, and many officiants have asked me to share the letter I sent to their editor so they can use it as a template when they encounter a similar situation. I’ve modified the letter to make it more generally applicable – hopefully this will help address this issue in your area as well! I was reading the Spring/Summer issue of Elegant Weddings Magazine and was so excited to see that you featured Sarah and David’s wedding at Westwood Inn – the photos are great! I performed their marriage ceremony, and am contacting you to get some clarity as to why my information wasn’t listed alongside all of the other wedding professionals who made their day possible. 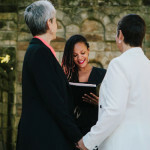 Sometimes the couple forgets to include their officiant’s information if they submit their wedding for publication, or if a photographer submits a wedding on behalf of a couple they can sometimes forget to include all of the vendors as well. However, after looking through the rest of your magazine, I noticed that none of the weddings you featured include the wedding officiant in the list of wedding professionals. If this was simply an oversight or an omission by the couple or photographer, as disappointed as I was to see everyone else included but me, I know that mistakes happen and hope to be included the next time one of my couples is featured in your magazine. However, if it’s your policy to exclude the officiant’s information, I would like to establish a dialogue with you in order to understand why this is the case and try to address any concerns you may have about including officiants in your publication. I would love to have an opportunity to speak with you further about this. If you have any questions, feel free to reach out to me at email@address.com or call me at 800-800-8000. Thank you for your time and consideration, and have a wonderful day! Don’t Make Accusations – Communication stops when people feel like they’re being attacked. Most of the time, people don’t even know about professional officiants and have ommitted your information out of ignorance, not out of spite. If you approach a publisher in an aggressive way, chances are they won’t even be willing to listen to what you have to say. Seek To Understand and Educate – Start by asking questions. “I noticed that no other officiants were listed as well – why is that?” “Can you help me understand the logic behind that decision?” The more you can let them speak while you openly listen, the more you’ll be able to understand their position and position yourself to address whatever concerns they may have. 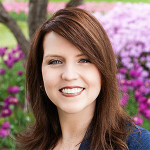 Highlight Similarities, Not Differences – Remember that the goal here isn’t to get them to consider the officiant more important than the other wedding vendors, but to consider them to be just as important as everyone else. Even though officiants don’t typically throw around large amounts of money for magazine ads, you can still help them see that your job, and the role you play, is just as vital to the success of the wedding as any of the other wedding professionals who you’re working with that day. If each of us takes it upon ourselves to point these omissions out whenever we see them, even if we weren’t the officiant, it will go a long way to helping all of us achieve a level of parity with other wedding professionals. Why Hire a Professional Officiant?